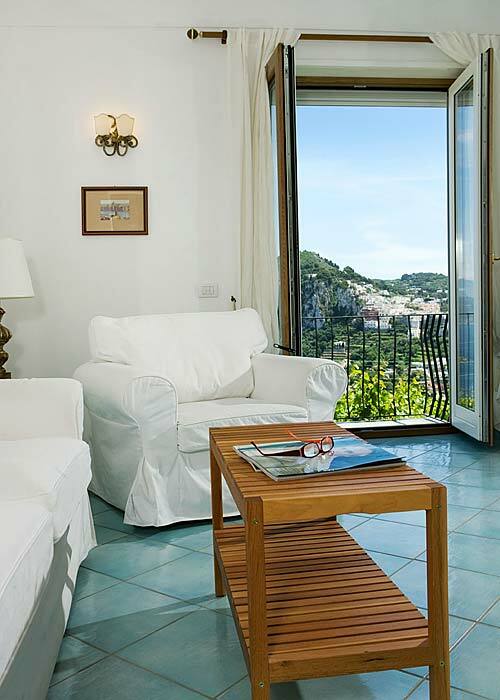 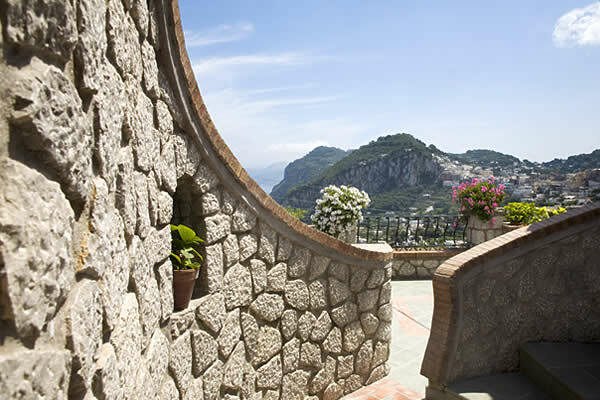 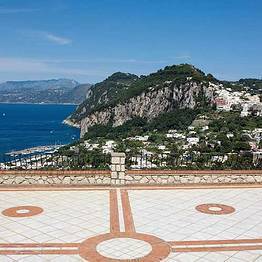 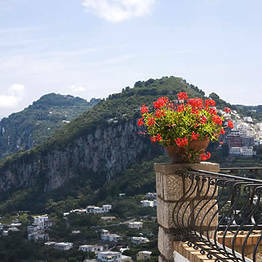 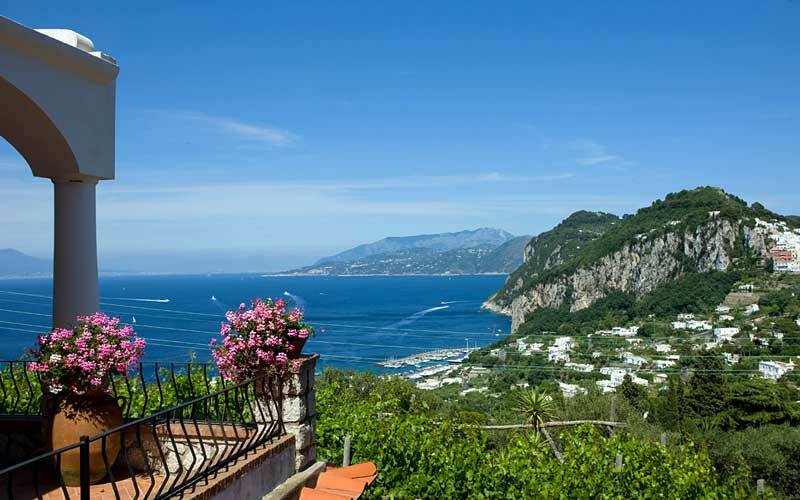 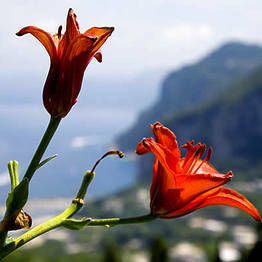 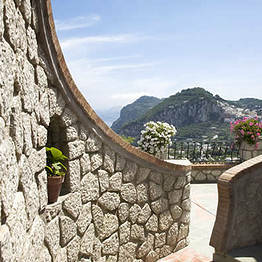 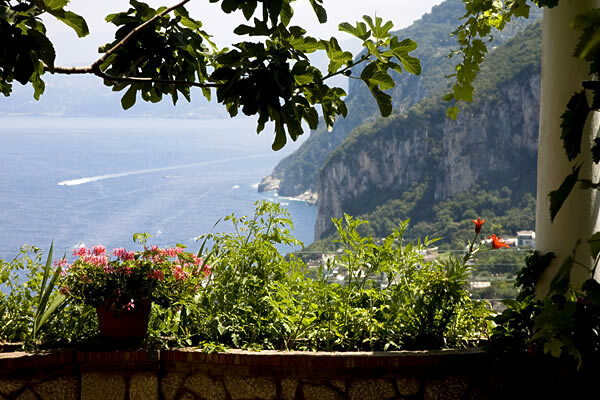 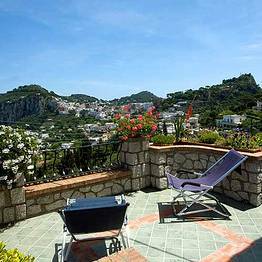 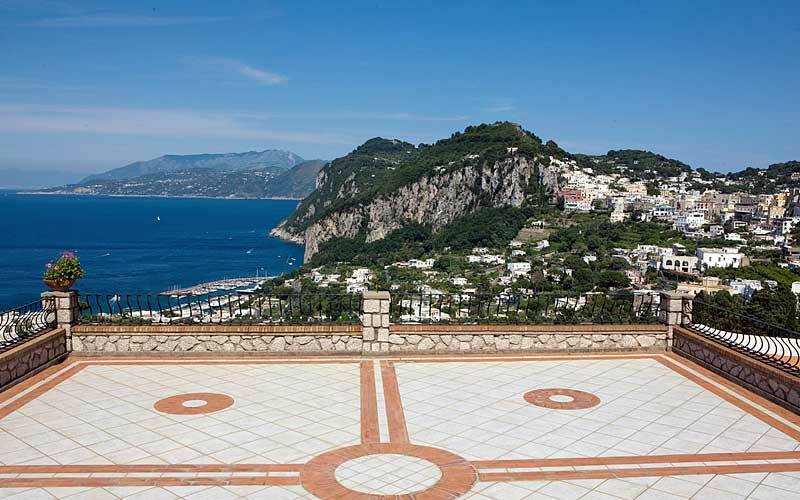 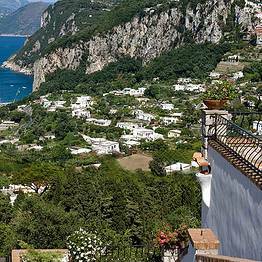 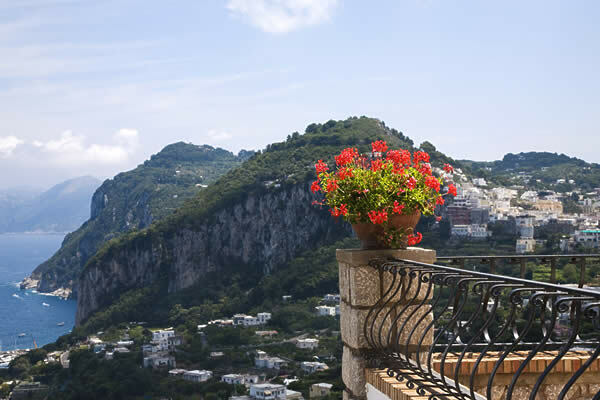 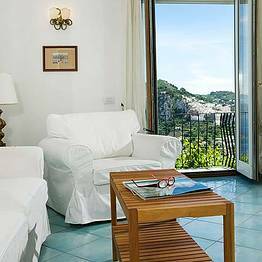 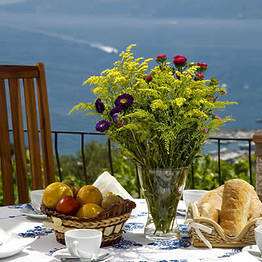 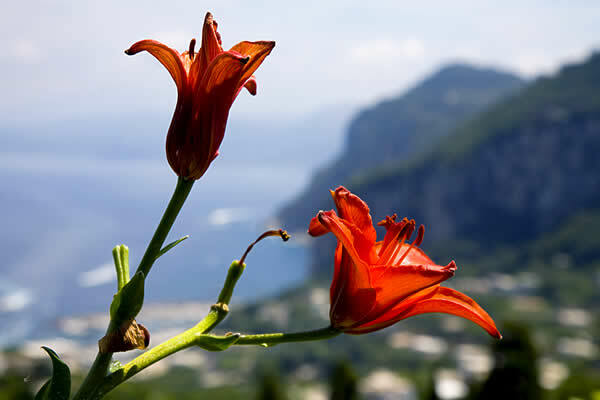 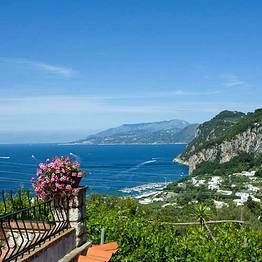 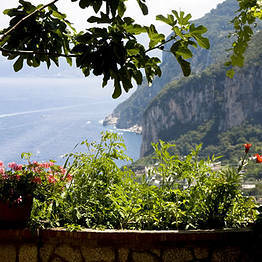 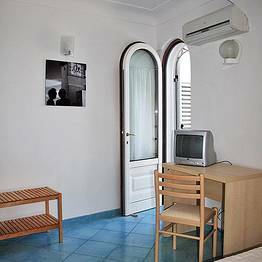 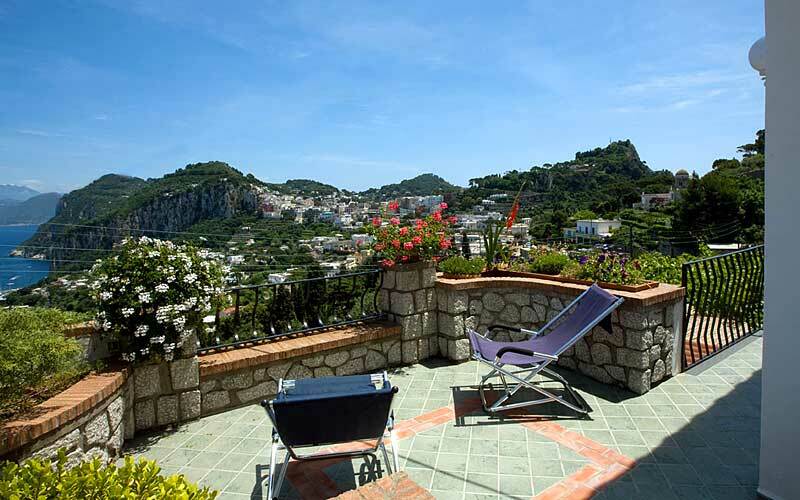 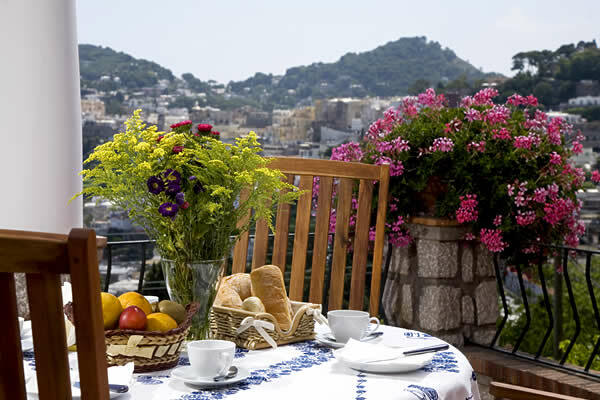 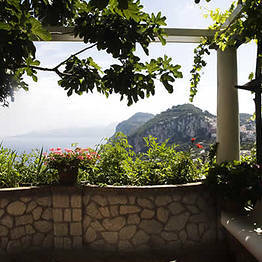 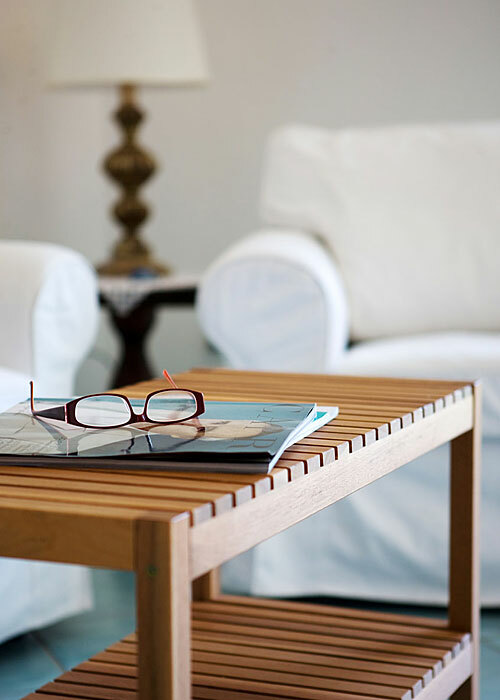 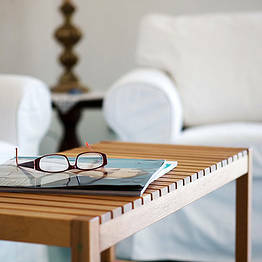 B&B Aiano boasts a fabulous location in the heart of Capri, its sun-kissed terraces gazing out over the town's pretty historic center, the bustling Piazzetta, and the sea. 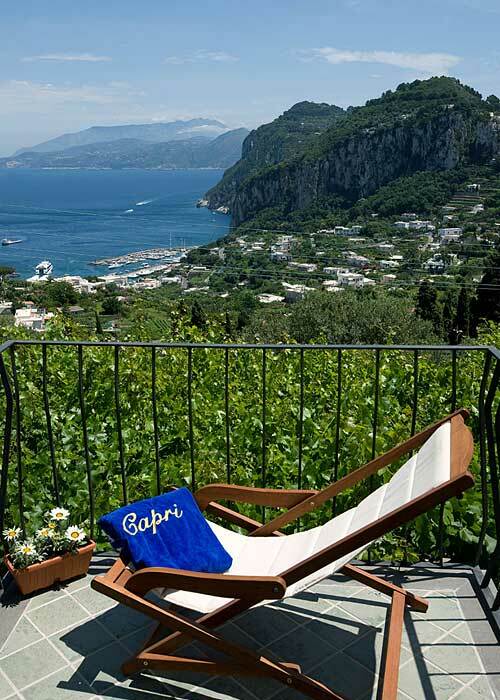 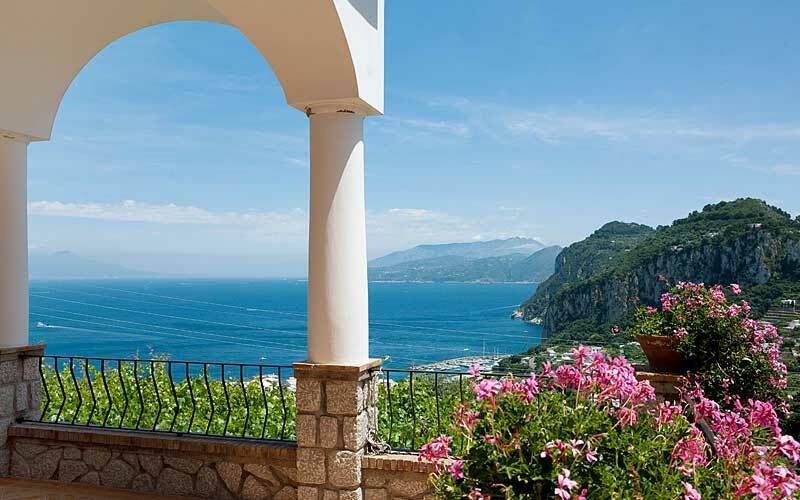 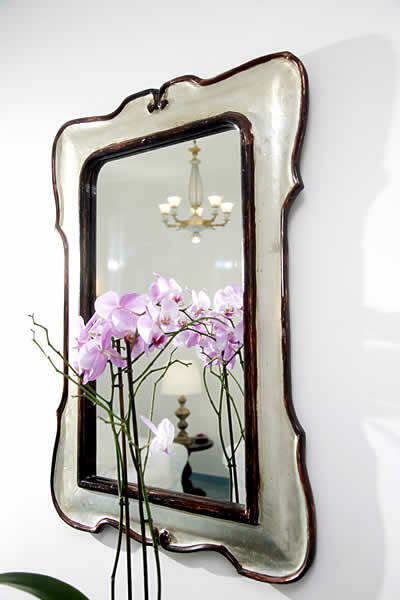 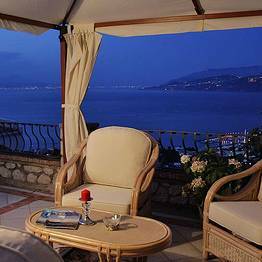 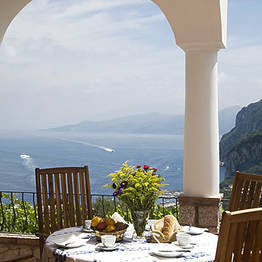 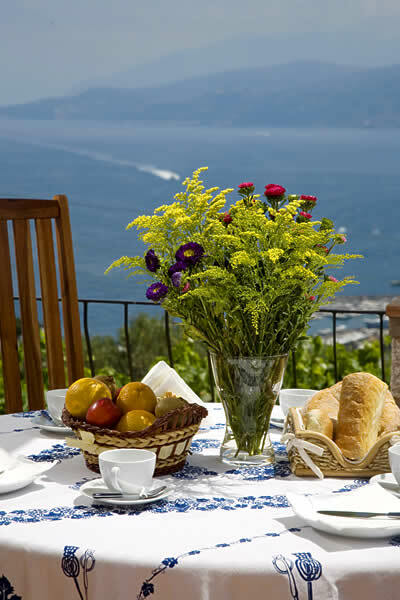 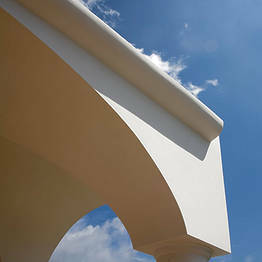 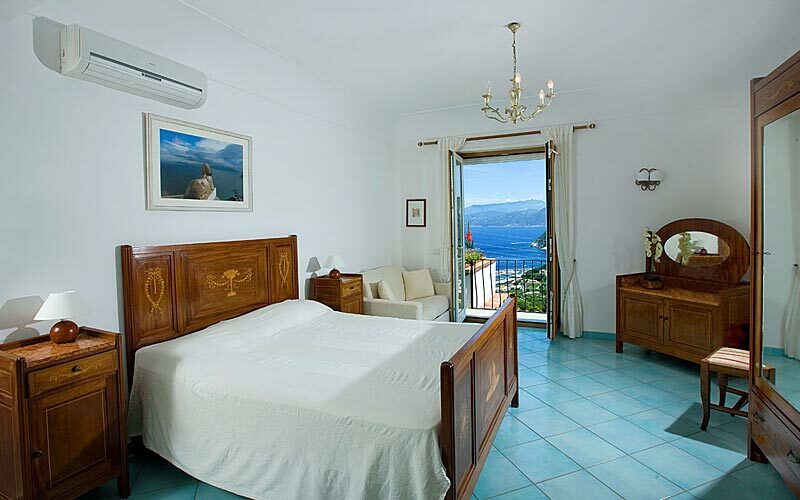 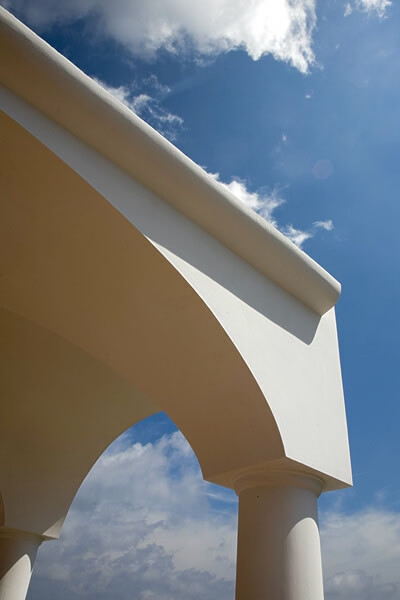 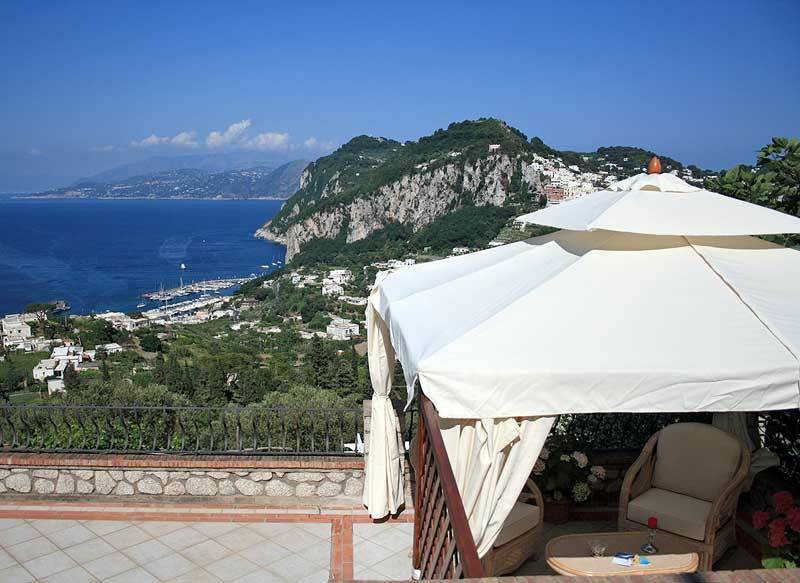 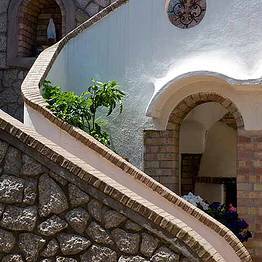 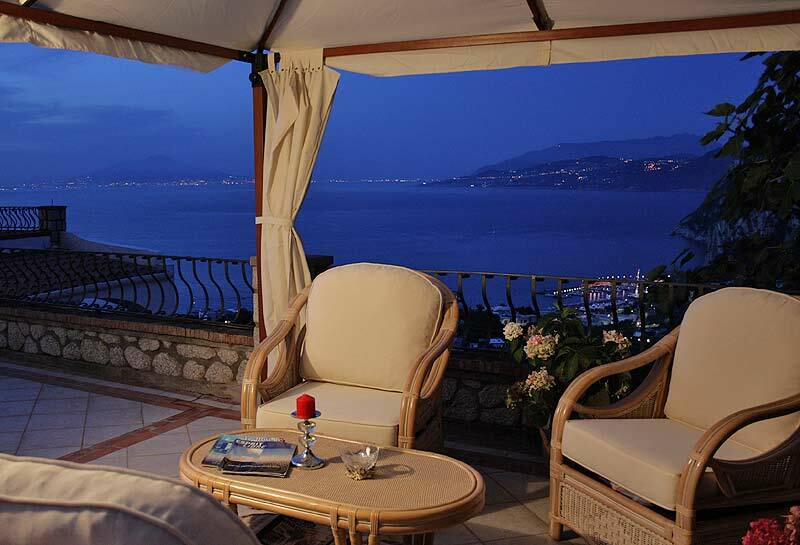 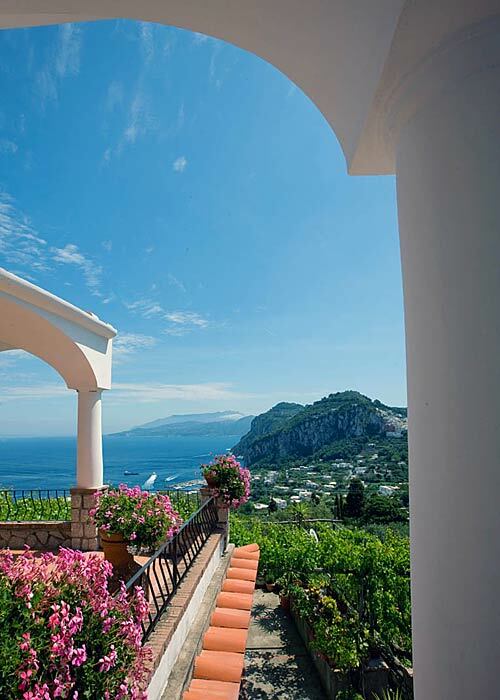 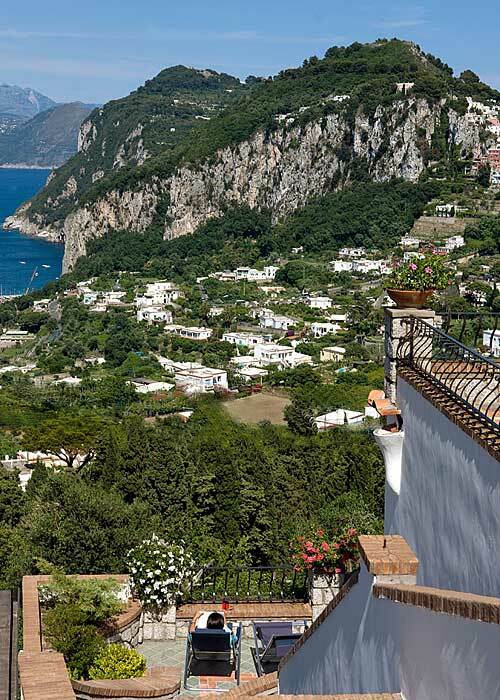 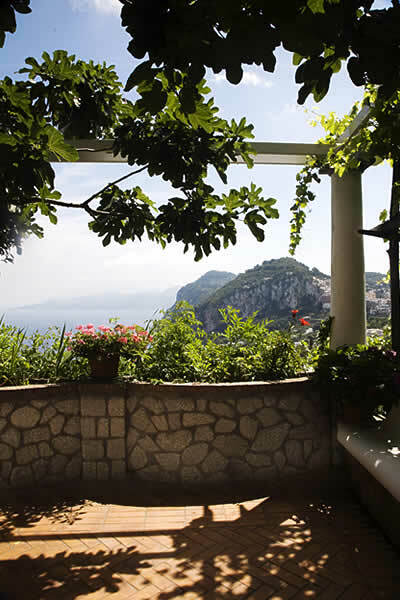 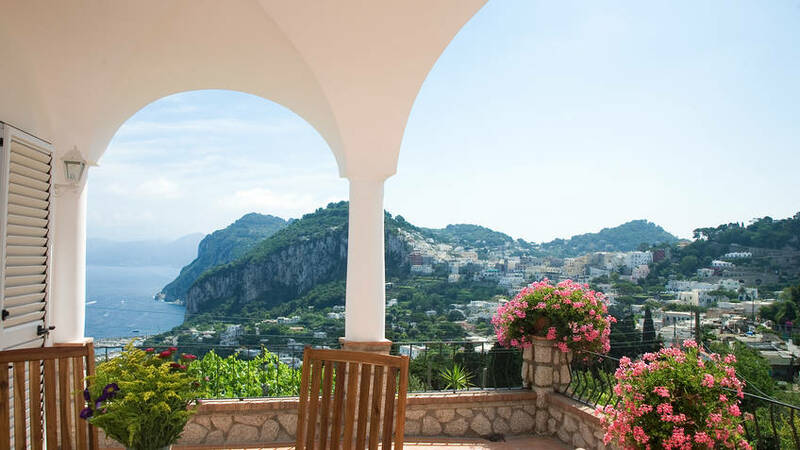 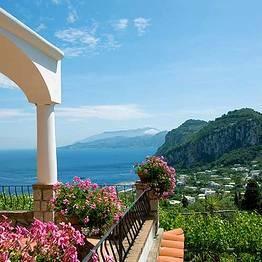 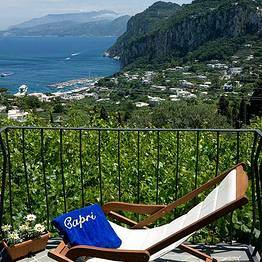 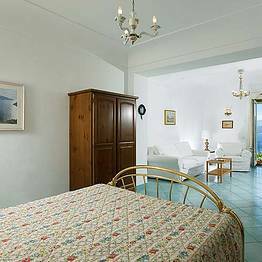 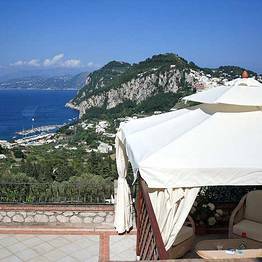 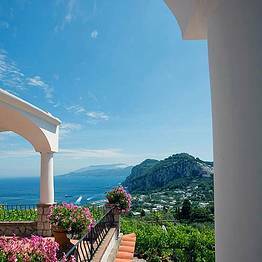 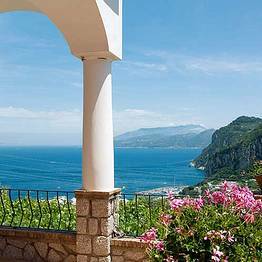 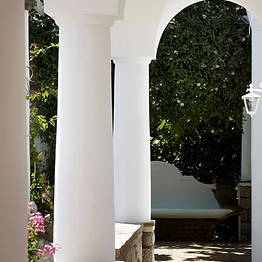 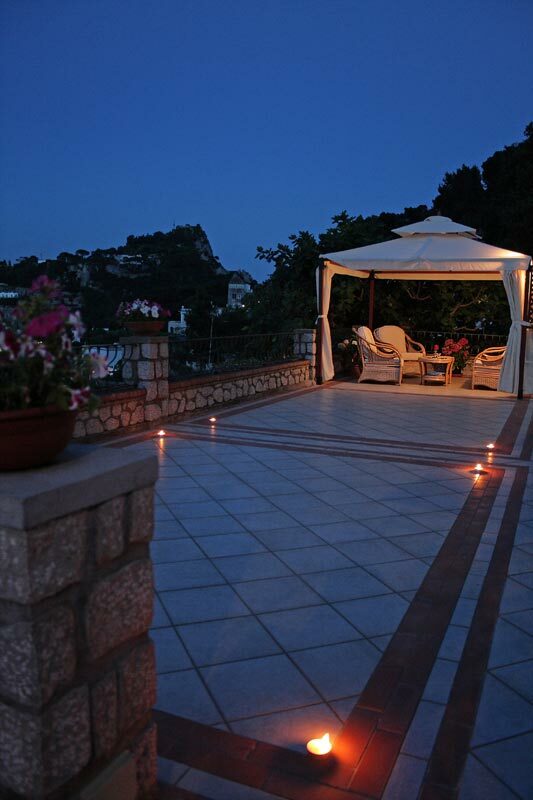 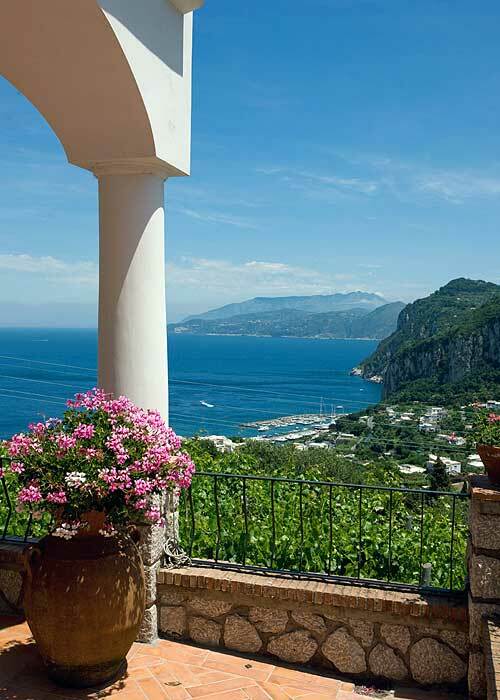 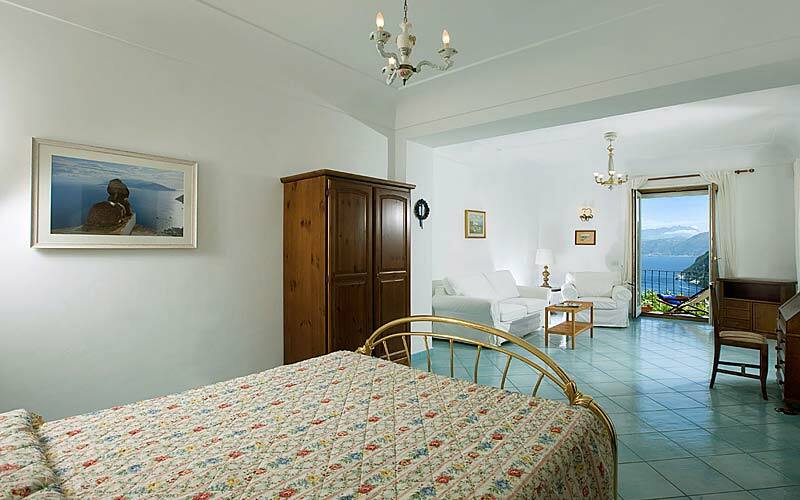 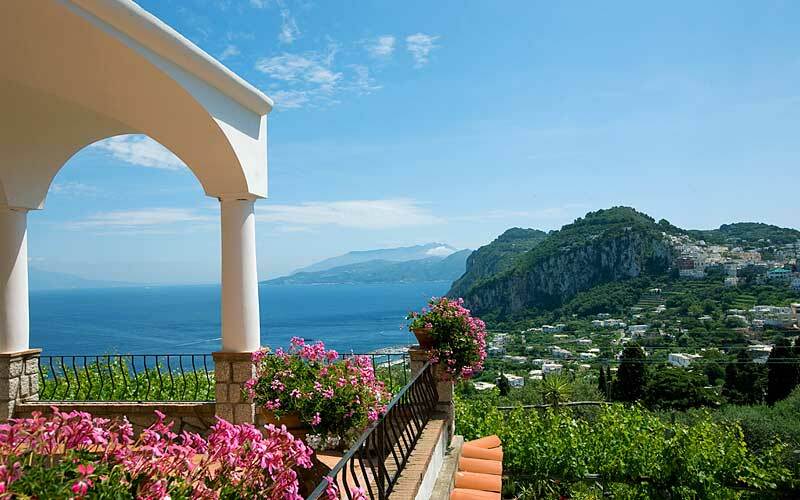 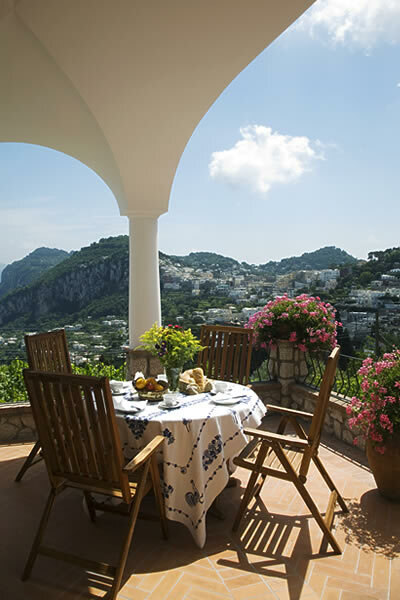 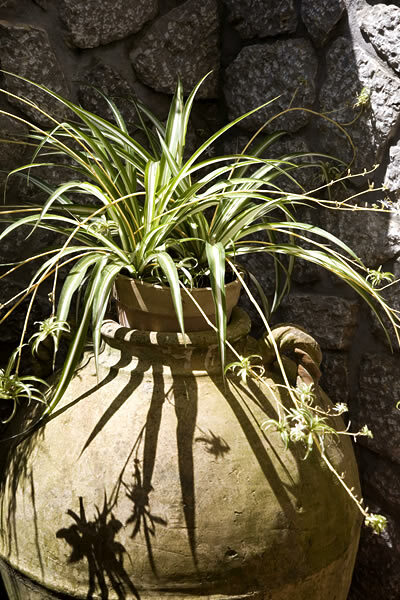 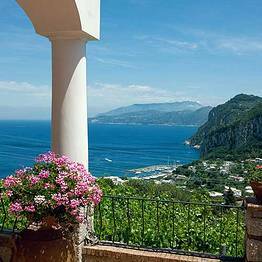 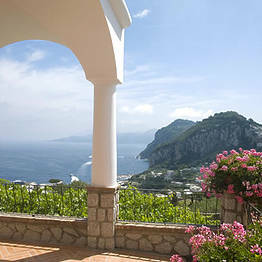 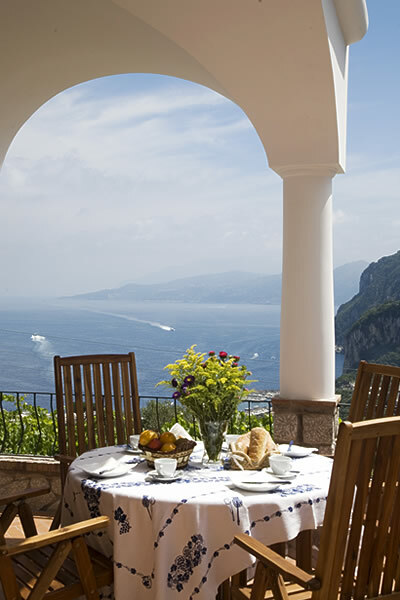 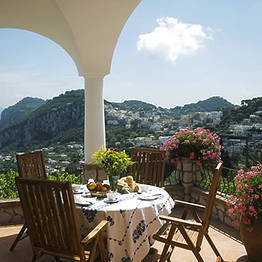 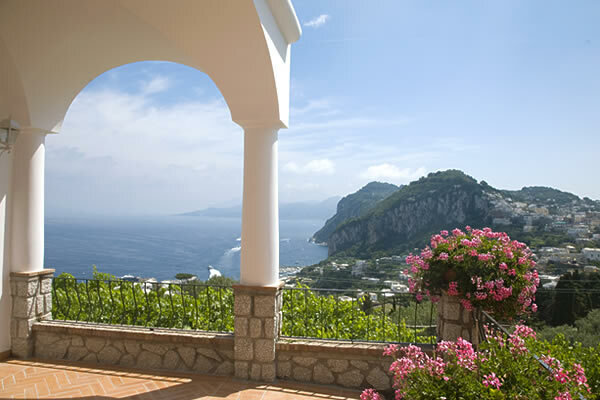 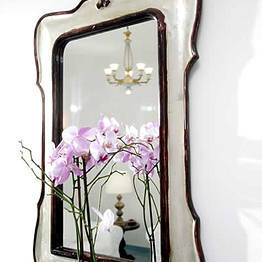 For holiday makers keen to experience the atmosphere of a traditional island home and, at the same time, enjoy all the comforts of a hotel, Capri's Bed & Breakfast Aiano is the ideal choice. 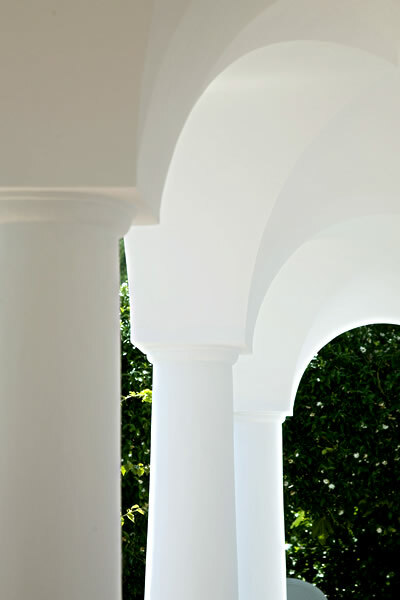 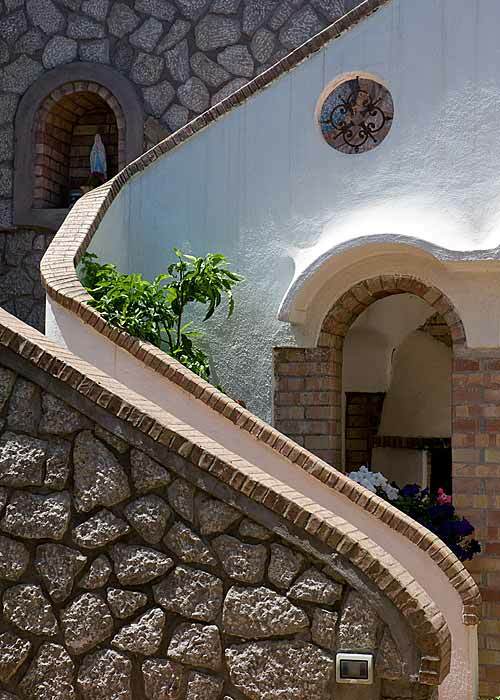 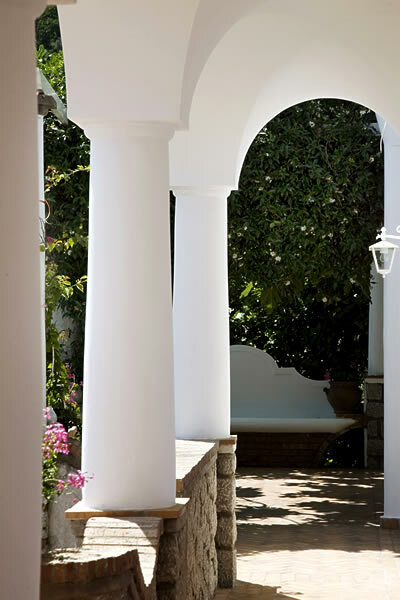 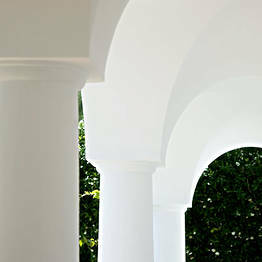 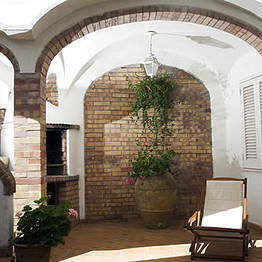 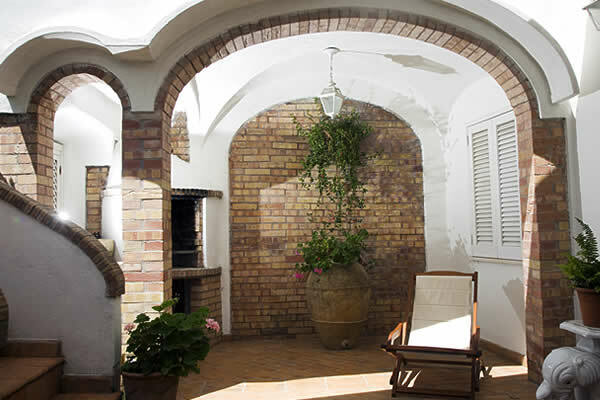 This intimate, family-run property displays all the characteristics of the local architectural style, in which stone, terracotta and ceramic are used to create charming compositions comprised of shady porticoes, sweeping arches, romantic pergolas, and classical colonnades. 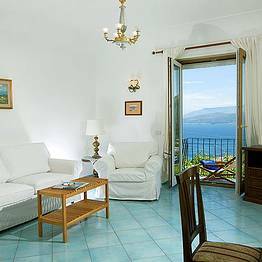 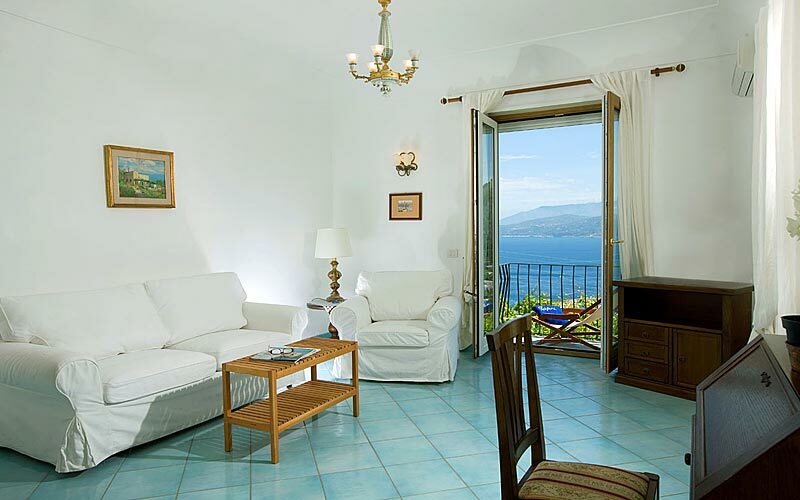 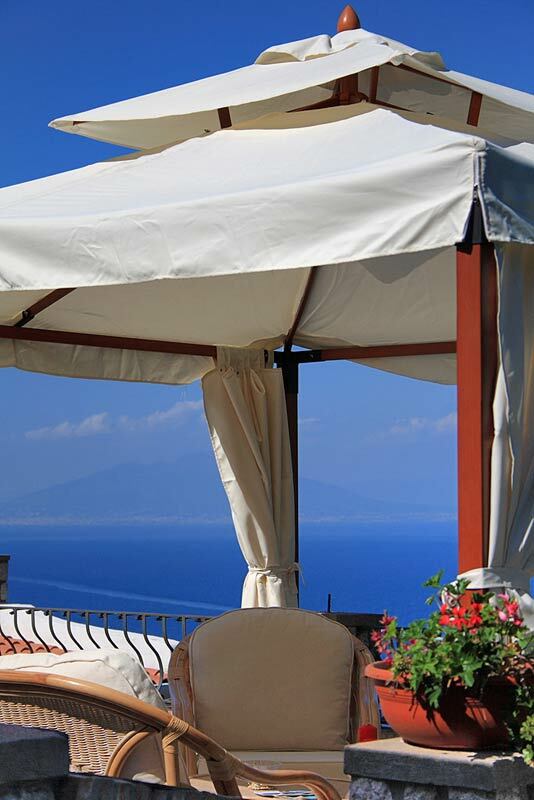 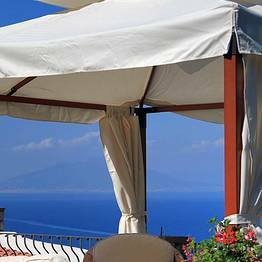 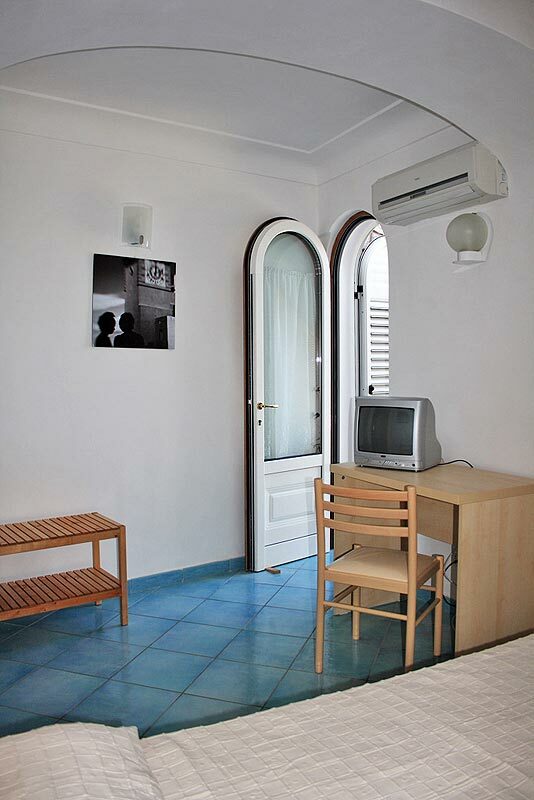 Each of Aiano's three, air conditioned bedrooms has been tastefully furnished in typical island fashion and opens on to a flower decked terrace from where to admire a wonderful view of the Bay of Naples, Mount Vesuvius, and the island of Procida. 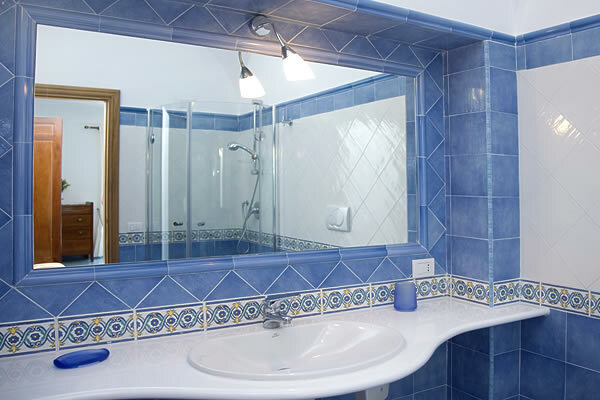 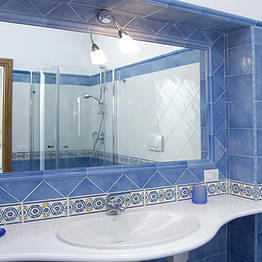 The rooms' private bathrooms are all fitted with colorful majolica tiles. 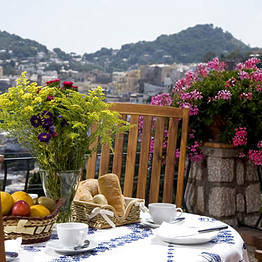 During the warm summer months, breakfast is served outside on the terrace. 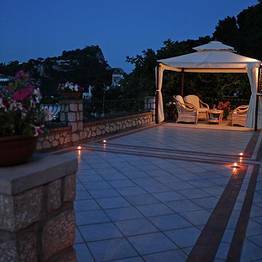 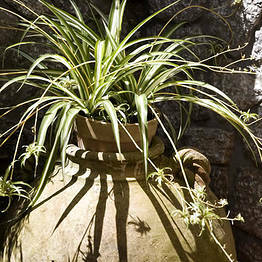 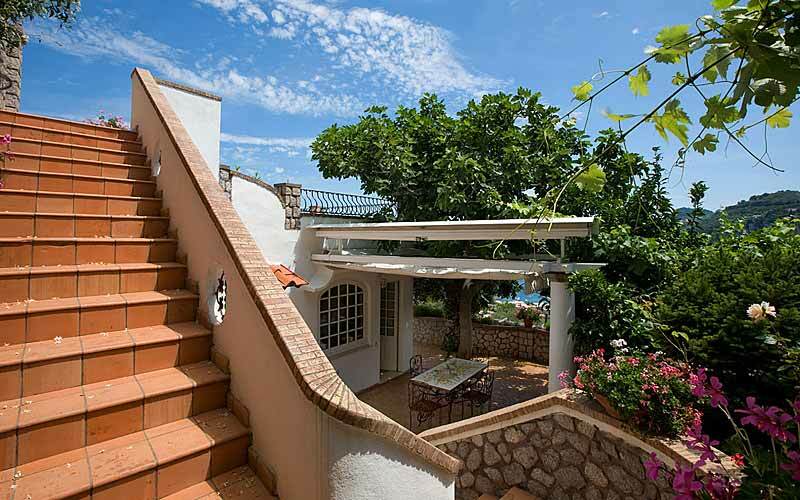 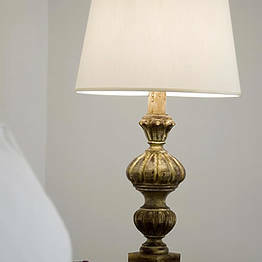 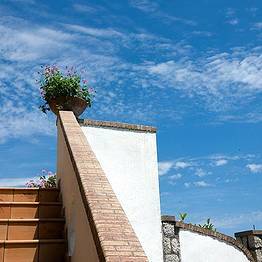 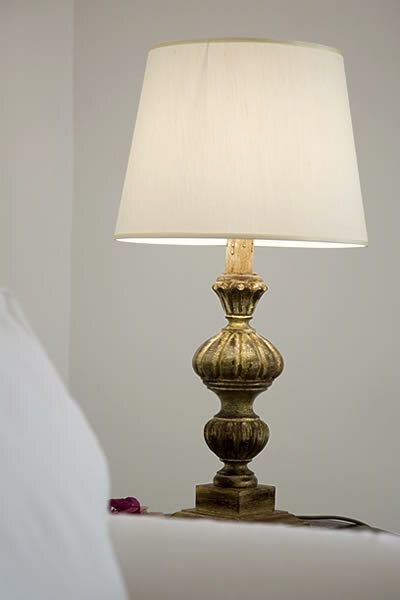 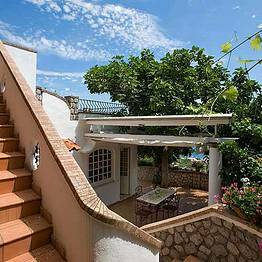 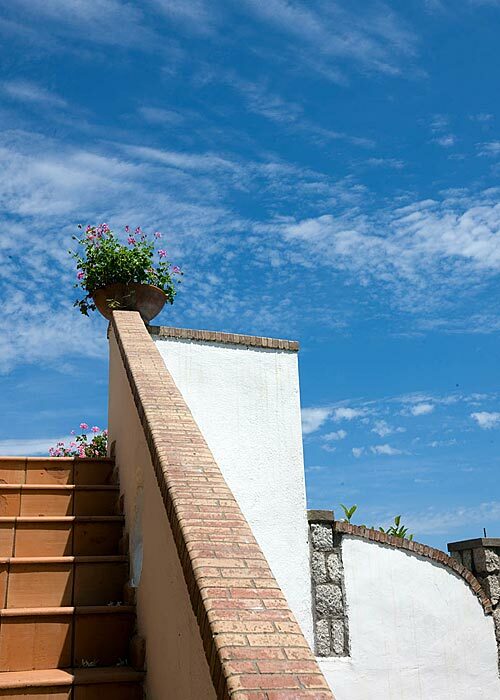 For those guests wishing to bathe in the Mediterranean sunshine, Bed & Breakfast Aiano has an attractive roof top solarium.